It’s five to twelve, maybe later. Time is running out to tackle man-made climate change. 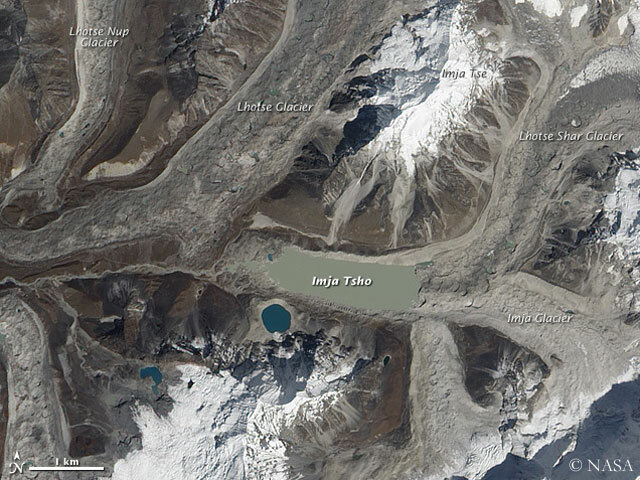 The impacts of global warming can be observed also in the Himalayas, gpt instance in Nepal. “Largely because of climate change and the recent impacts of the earthquake and aftershocks, Nepal has entered an era of accelerated catastrophic events that will impact the country’s population, their lives and livelihoods for several years to come”, US and local scientists said after having researched the greatest and most dangerous glacial lakes in Nepal after the devastating 25 April earthquake. 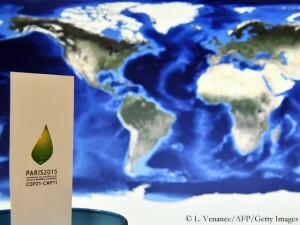 In these days, delegates from all over the world are debating a new climate change agreement in Paris. 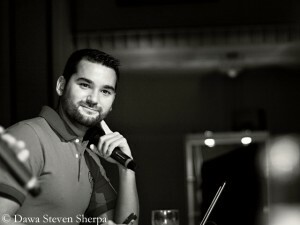 On this occasion, I called Dawa Steven Sherpa in Kathmandu. 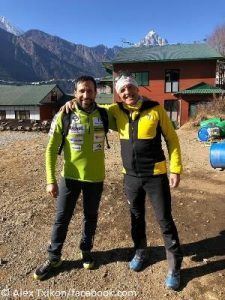 Along with his father Ang Tshering Sherpa, the president of the Nepal Mountaineering Association (NMA), the 31-year-old is managing the expedition operator “Asian Trekking”. 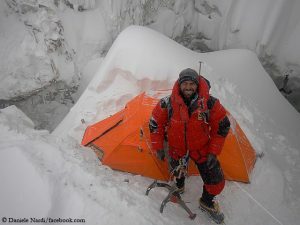 Dawa Steven scaled Everest twice (in 2007 and 2008) and in addition the eight-thousanders Cho Oyu (2006) and Lhotse (2009). For years he has been engaging for environmental and climate protection. He is a climate change ambassador for WWF. Dawa Steven, what changes caused by global warming do you notice in Nepal, particularly in the Everest region? The whole mountainous region of Nepal is changing, including Everest region of course. As a climber you can see these changes. New routes have to be found, like the Icefall Doctors did in Khumbu Icefall this year. The dangers associated with climbing are changing too. We are seeing more rock fall because the snow and ice that used to hold the rocks in place on the slopes are gone. We also notice more avalanches and collapses of seracs. Of course it’s a natural process that these things happen on high mountains but it has never happened so often and in such big magnitude. 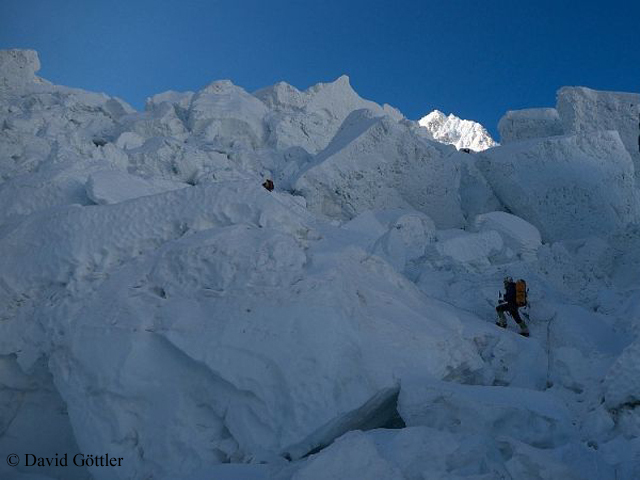 What do you consider to be the greatest dangers for Himalayan people in the future? I have just talked about the dangers for climbers but there are many, many other problems. Glaciers are melting and turning into huge lakes with water that can burst out and strike the lower valleys where people are living. That is one direct concern, but there are others as well. For instance, weather patterns are changing. It’s no longer possible to predict when rain will come or stop, how dry, how cold it will be. Before, you could rely on historical patterns, now it is very difficult to say that. So for people who rely on agriculture it is becoming very difficult, not only in the mountains but in the valleys too. Furthermore, due to increasing temperatures, more insects are able to survive in higher altitudes. Pests are seen in places where they didn’t use to exist. Mosquitoes and parasites are also moving higher up where people never had seen them before. In effect they are destroying the crops and the health. Climate change is also impacting on tourism which is very important for Nepalese economy. 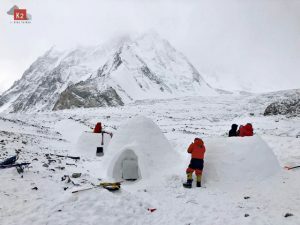 For instance in 2013, Lukla airport [entry for climbers and trekking tourists to the Khumbu region] was closed for twelve days in October, what should have been the busiest month in tourism. But when more than a third of a month is blocked because of bad weather, it has a serious impact on the livelihood of the local people, on the health of the local economy but also on the health of the nation, because it is not good for Nepal’s reputation as a solid and reliable tourist destination. Nepal is currently facing other major problems: the consequences of the devastating earthquake, shortages due to the blockade of the border to India, a new government. Is there any scope left for the awareness of climate change at all? We have to distinguish between urgent and important needs. 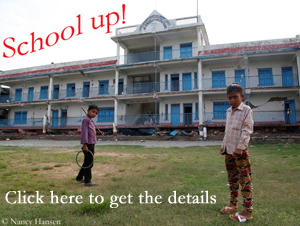 Right now there are more urgent needs in Nepal like to get the blockade lifted. So of course people are not so concerned about the long-term climate change. But climate change or the blockade or the earthquake, they all have a direct impact on the livelihood of the people. After the earthquake, hundreds of thousands people can not return to their houses, because due to the blockade there is no help coming in and construction has even halted. These people don’t know what to do. They can’t go on the fields because their crops were destroyed. It’s not black and white that climate change is one problem and earthquake another one. It is all related because at the end of the day it all impacts the ability of the local people to look after themselves. What do you expect from the climate summit in Paris? I hope that not only powerful nations but all nations reach an agreement of reducing carbon dioxide to keep the global warming well below two degrees Celsius and to make it legally binding – so that if one country is found not to be following the rules, they are liable. Because it’s not just our but everybody’s future. I hope that this sense will be there when they negotiate and sign those papers that they say, it’s not just an economic incentive. At the end of the day, when the earth starts to collapse, I think economic reasons will be a joke. Nobody will look back and say, well, me made that decision. It should be based on future generations and not on economic concerns that we are facing today. Do you think it’s one of the last chances because time is running out? The chances are running out, things are getting worse and worse. Maybe some people in some parts of the world which are better developed and more industrialized have more chances in the future. But for the people of Nepal or other people who live in these developing countries in the world, chances have been running out very fast. They are already feeling the impacts.